Life is a lot demanding in the world we live today. For most young people, the choice between work and travel is a hard one to make. Both options are appealing but work definitely comes first in most cases. The future is always not certain for most of us and the only best choice to make is to prepare for it by working hard while still young. Most life pleasures can be postponed and enjoyed later on in life, maybe after retirement. However, travelling while still young is good for all aspects of your life. There is nothing more important than being with friends and having connections wherever you go. As you travel, your chances of meeting good and friendly people are higher than if you stay at home. In this setting, it is easy to start conversations with other travelers as you can talk about where you come from or you can give each other tips on where to go, what to eat, etc. After a journey, you always go back home changed. You get to talk with new people and experience different cultures during a trip. In your travel, you will meet various social classes that makes you feel content and more blessed than before. People share their own perceptions of life, some of which you may have never heard of but will soon become part of you. This greatly shifts your perspectives about life and makes you a better person. Work can be stressing sometimes and in that case, your productivity goes down. As a result, people choose to rest by staying at home. However, travelling is the best thing to do in order to reduce levels of stress. This is a sure way of escaping and forgetting about your normal day-to-day life for some time, and shifting your attention and focus to yourself. When you go back home, you will feel refreshed. Having fun is one of the benefits of travelling. Even if you are not culturally minded, travelling will present this opportunity to you. You will find yourself skating in a snowy landscape, playing beach football and so on. There are many sites to visit. To fully appreciate nature, you need to participate in activities going on in such places. There is more to eat and do as you travel than you can do at your home. Being in the same place for a long time can be boring and can easily wear you out. In order to refresh and help you gather new strength, travelling is the best option. You will have a set of filters for your mind to get you prepared for the next big assignment. In simple terms, it reboots your life like in the case with computers. Your productivity and attitude will be greatly enhanced. Therefore, break up the monotony of life by travelling. Travelling requires a lot of planning and organizational skills. You need to plan in advance and be on point with every detail, taking into account any contingency measures needed. These are skills that will greatly be enhanced as you travel. You will learn practical considerations when budgeting and scheduling activities. These skills learnt to make your journey a success can easily be transferred into your career. Therefore, you not only get to have fun but also learn important skills. During your trip, things may not go out as planned and for that reason, you will be required to make few adjustments here and there. Travelling will teach you how to have fallback plans in life in case plan A doesn't work out. Such things may involve a canceled flight or heavy rain cutting off your plan for the day to engage in an outdoor activity. This way, you become open-minded and flexible in making decisions. During travelling, there will at times be no definite paths to follow. In that situation, you will be forced to come up with your own way. For example, because you can't find those foods you always have and you come across foods you have never eaten before, in order not to stay hungry, you will have to try out new foods. Things like this are helpful in making you a well-rounded person which is good for your confidence. This definitely counts as one of the benefits of travelling. Travelling gives you a chance to see the real deal. It is an opportunity to unveil and verify everything you could have heard concerning certain destination. This way, you can make your own opinions about certain places. Therefore, you will not be limited to what you've heard from other people or to what has been taught in school, which at times is not true. Travelling requires you to manage your time properly in order to cover all places you want to visit. Most importantly, time management is specifically needed to avoid paying unnecessary extra costs. In order to maximize your travelling, time will be a very precious thing for you. This is a skill that you can apply in other spheres of life as well. As you hit the road, there are a lot of opportunities to exercise your body and keep fit. Whether your journey is just a relaxing one or an adventurous one, these opportunities will always show up. They include swimming, walking between destinations and hiking among others. These activities will keep you fit while enjoying some sunshine, which is not available in the modern gym. 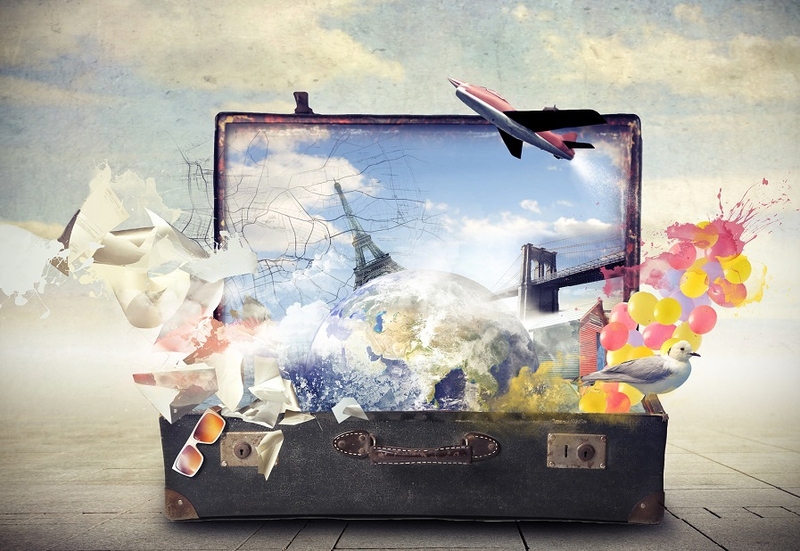 Travelling can also increase your business contacts if you are careful to look for them. As you move around and talk to people, you will definitely come across people who are interested in something you can offer. Therefore, it is an opportunity to get new contacts and leads for your business. This doubles the benefits of travelling. Server responsed at: 04/18/2019 8:55 p.m.